I know many educators may ask this: Why use technology? An important reason that we are challenged to integrate technology into our lessons and teaching is to help our students achieve the needed 21st century skills. 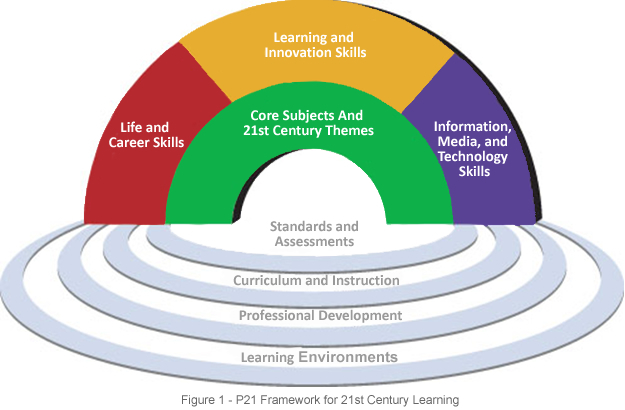 The Partnership for 21st Century Skills outlines a framework for 21st century learning. No one would argue that the skills a student needs to succeed in the 21st century are different than those needed by 20th century learners; while educators may still be producing students who score high on SATs, ACTs, and standardized tests with their 20th century teaching style, our students need a number of additional skills to be successful in college and the workplace. Among these skills outlines by the Partnership for 21st Century Skills include the need for creativity and innovation, critical thinking and problem solving, communication and collaboration, information literacy, media literacy, and ICT literacy. While some of these were skills educators wanted in the 21st century, our students need to use them to new extents and levels in the 21st century. EdWeek held a panel debate, asking a number of key educators to define 21st-century learning. Barnett Berry, founder and CEO for the Center of Teaching Quality, explains in an EdWeek article that “Twenty-first-century learning means that students master content while producing, synthesizing, and evaluating information from a wide variety of subjects and sources with an understanding of and respect for diverse cultures. Students demonstrate the three Rs, but also the three Cs: creativity, communication, and collaboration. They demonstrate digital literacy as well as civic responsibility. Virtual tools and open-source software create borderless learning territories for students of all ages, anytime and anywhere.” Sarah Brown Wessling, the 2010 Teacher of the Year, had similar insights, also focusing on the synthesis of a student’s knowledge and understanding. She stated, “Instead, the 21st-century learning paradigm offers an opportunity to synergize the margins of the content vs. skills debate and bring it into a framework that dispels these dichotomies. Twenty-first-century learning means hearkening to cornerstones of the past to help us navigate our future. 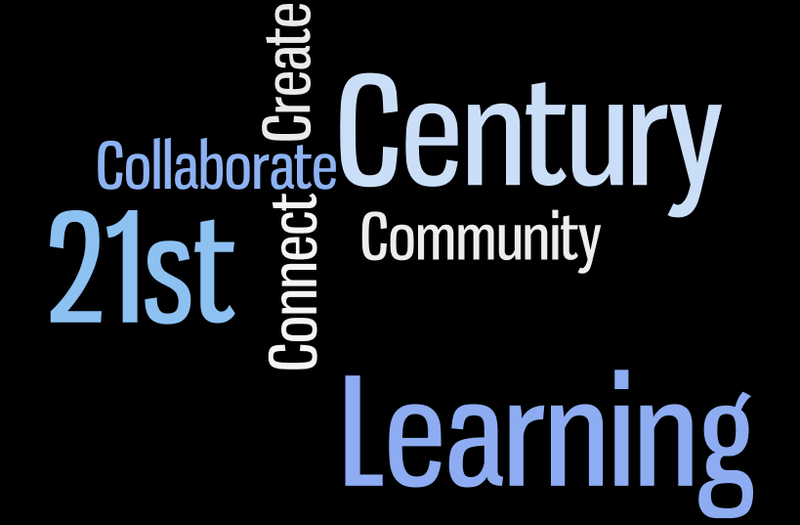 Embracing a 21st-century learning model requires consideration of those elements that could comprise such a shift: creating learners who take intellectual risks, fostering learning dispositions, and nurturing school communities where everyone is a learner.” This new century brings a type of learning that is more about learning from doing and combining knowledge and skill. It isn’t about memorizing facts or doing worksheets. It’s not about banking education. It’s about providing our students with the skills and knowledge to keep up with the rapidly changing world. 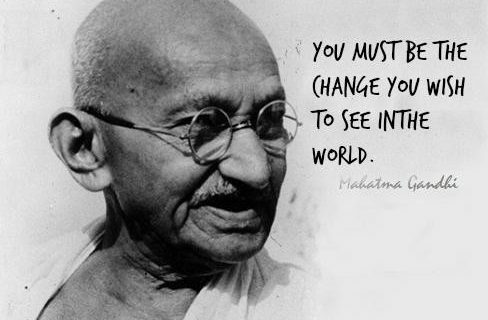 Some students realize this gift in 21st century learning. Rahil, a student featured by Edutopia, explains how motivating it was for him to switch to a school that focused more on 21st century skills and learning. In 2008, the National Council of Teachers of English (NCTE) even defined new literacies for the 21st century. Some of the literacies that students are now expected to have include proficiency and fluency with the tools of technology, build cross-cultural relationships, and manage, analyze, and synthesize multiple streams of simultaneous information. 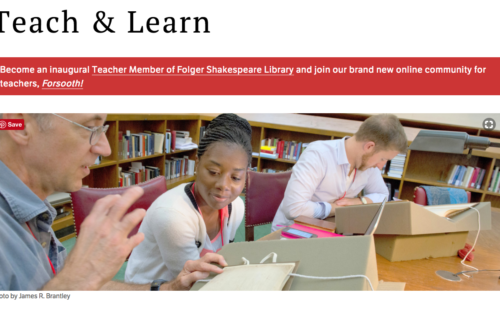 It is easy to look at these new literacies and see that they have direct connection to evolving technologies and their integration in education. A simple, easy technology tool that allows students to develop these 21st century skills and new literacies is blogging. The Edutopia article “Blogging in the 21st Century” by Michelle Lampinen highlights some of the advantages of blogging for the classroom. Part of the reason that Lampinen chose to have her students blog was that blogs addressed multiple Common Core standards, she could hold students accountable for their work, she could let them be creative in a structured framework, assignments could be varied enough to keep students engaged, and it would help students learn to write for multiple purposes. She found that knowing more eyes were reading their work meant that students informal work was much cleaner. 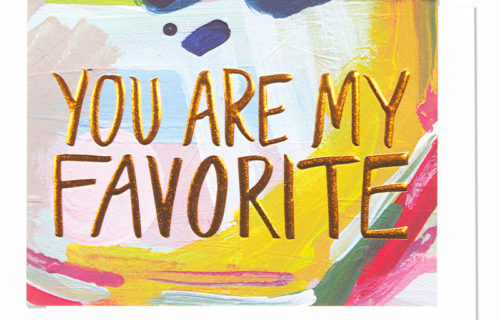 She stated, “Not every post is perfect, but the majority are well written and free of grammar and usage issues that I am so familiar with seeing in their other work. If they become sloppy, all I need to do is politely comment about it on their blog, and I don’t see it again.” She found that the informal writing that they did on their blogs helped create higher quality formal work and the quality of their persuasive arguments improved. She also fund that introverted students shared more online than they did in person, and she knows her students better, creating better sense of community in her classroom. Lampinen isn’t the only educator who has great success with blogging in the classroom. Many educators have found great success with blogs and have found numerous ways to use them in their classrooms. Blogging easily allows students to develop many of the 21st century skills. As I shared in previous posts, teachers can use blogs in many ways. Having students blog in character character and interact with other classmates’ characters “in character” develops the skills of creativity and innovation. Challenging journalism students to look at their community’s problems and find solutions for how to fix those problems can challenge students to develop critical thinking and problem-solving skills. Posting reading responses online and asking students to respond to classmates’ blogs sheds new light on novels and expands their ideas on their reading, while developing communication and collaboration skills. Blogs allow teachers to vary instruction and keep students engaged while creating a 21st-century classroom. Teachers can easily adapt old assignments, create new lessons, and the learning curve for the teacher can grow with the students in the creation of the blog. Blog companies like Kidblog and Edublogs have given educators relatively inexpensive, secure places on the world wide web to allow students to engage in this type of learning. This is part of the reason that blogs are so attractive. So if you are looking for a way to engage your students and use technology next school year, think about blogging. Let your students “wow” you and demonstrate their mastery of many 21st century skills.